awaiting the day when they would return to reclaim their birthright. Once upon a time, he was Lord Tristan Easton—now he is Crimson Jack, a notorious privateer beholden to none, whose only mistress is the sea. But all that will change when exquisite Lady Anne Hayworth hires his protection on a trip into danger and seduction. .. Desperation brought Anne to the bronzed, blue-eyed buccaneer. But after the Captain demands a kiss as his payment, desire will keep her at his side. She has never known temptation like this—but to protect her heart, she knows she must leave him behind. Yet Tristan cannot easily forget the beauty—and when they meet again in a London ballroom, he vows he won't lose her a second time, as fiery passion reignited takes them into uncharted waters that could lead the second lost lord home. . .
Lord of Temptation is an absolute page turner that will have you laughing, crying, and ultimately leave a huge grin on your face. What's the use in a 'happily ever after' if there aren't a few bumps in the road? 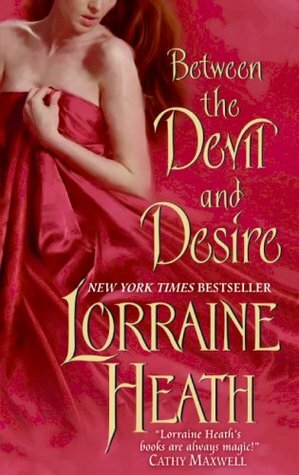 Whether you're a fan of historical romance or not you need to do yourself a favor and check out Lorraine Heath's The Lost Lords of Pembroke series. The heroes are scarred emotionally and physically, but it leaves you with a far more complex character than the 'normal' male in the historical romance genre. No sitting by the fire drinking brandy and hunting to be found here. These men are working hard to re-established themselves in proper society while still trying to hold on to the identities they've shaped for themselves over the last 12 years while in seclusion. Lord Tristan found his escape on the deck of a ship. Twelve years later he returns to England as Captain Crimson Jack. Handsome and flirtations he makes all the young women of the ton swoon and all the men hide their daughters. On the outside he seems to be a carefree and fun loving blackguard. In reality he's still dealing with the betrayal of his uncle and the loss/separation from those he loved. Enter Lady Anne Hayworth. After two years she's still coping with the death of her fiance, the love of her life. Together they find passion but must overcome jaded pasts to fully realize what they mean to each other. Every so often a book comes a long that I know will hold a special place on my shelf for years to come. 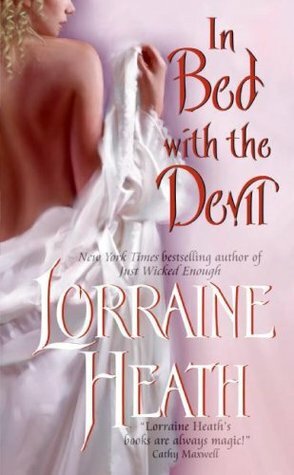 Lorraine Heath has managed to do that with not one, but SIX of her works, including Lord of Temptation. If you're in the mood for a scarred hero, a feisty heroine, a whole lot of emotion check it out! *The predecessor to Lord of Temptation, She Tempts the Duke is an incredible read. Though, not necessary to enjoy Lord of Temptations I can't recommend it enough! Sebastian Easton always vowed he would avenge his stolen youth and title. Now back in London, the rightful Duke of Keswick--returning from battle a wounded, hardened, changed man--cannot forget the brave girl who once rescued him and his brothers from certain death. Lady Mary Wynne-Jones paid dearly for helping the imprisoned young Lords of Pembrook, and she remembers well the promise she made to Sebastian all those years ago: to meet him once more in the abbey ruins where they shared a bold, forbidden kiss. While Mary is now betrothed to another, a friendship forged with dark secrets cannot be ignored. Unexpected passion soon burns dangerously between them, tempting Sebastian to abandon his quest for retribution and fight for a love that could once again set him free. *Imagine the kids from Oliver Twist all grown up! They call him the Devil Earl—a scoundrel and accused murderer who grew up on the violent London streets. 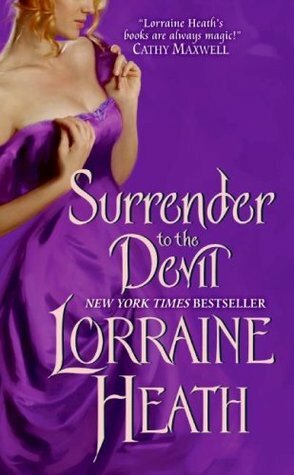 A proper young lady risks more than her reputation when consorting with the roguishly handsome Lucian Langdon, but Lady Catherine Mabry believes she has no choice. To protect those she loves, she would do anything—even strike a bargain with the devil himself. Frannie Darling was once a child of London's roughest streets, surrounded by petty thieves, pickpockets, and worse. But though she survived this harsh upbringing to become a woman of incomparable beauty, Frannie wants nothing to do with the men who lust for her, the rogues who frequent the gaming hall where she works. She can take care of herself and feels perfectly safe on her own—safe, that is, until he strides into her world, and once again it becomes a very dangerous place indeed. To bed her but not wed her. That's what Sterling Mabry, the eighth Duke of Greystone, wants. But Frannie abhors arrogant aristocrats interested only in their own pleasure. So why then does the thought of an illicit tryst with the devilish duke leave her trembling with desire? Her willing body begs for release...and a wicked, wonderful surrender. Who is this author with a Top Bite Award? I have to check her out! Looks like a good one to read.